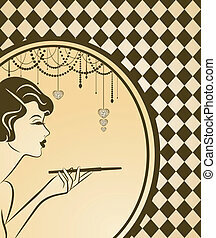 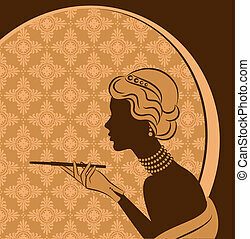 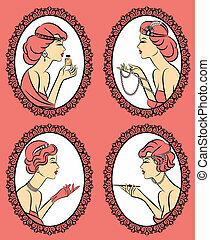 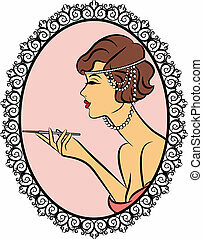 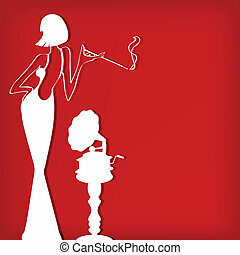 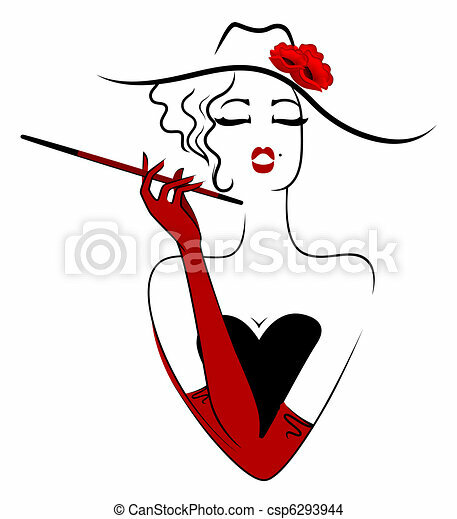 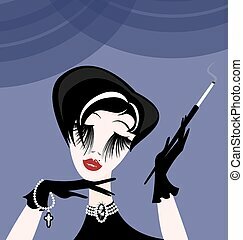 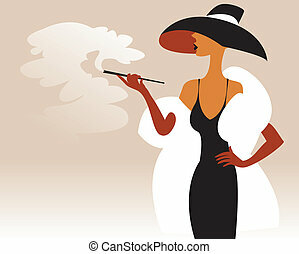 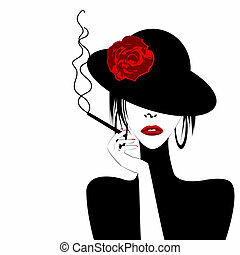 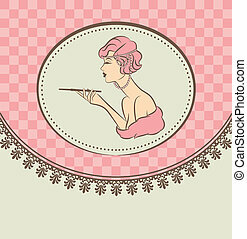 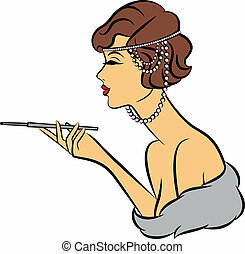 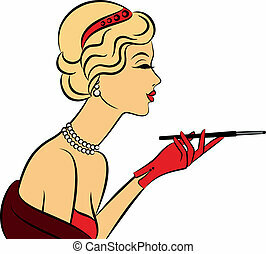 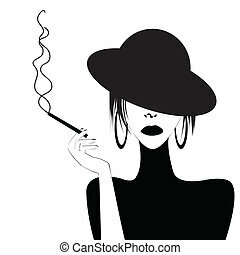 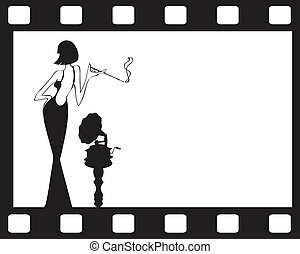 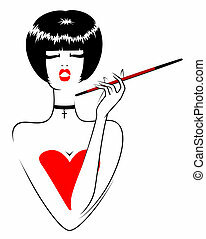 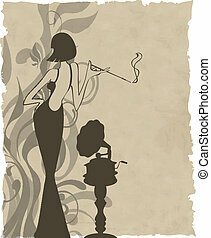 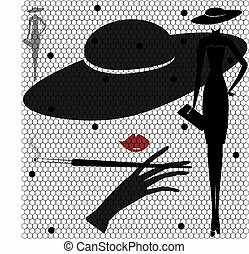 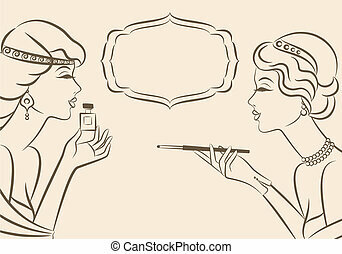 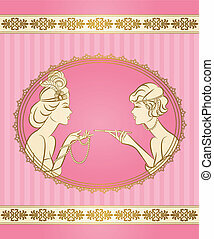 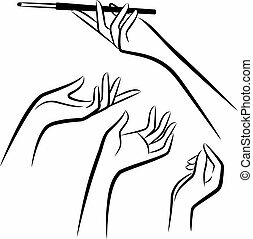 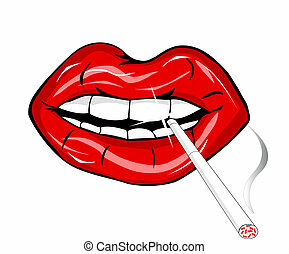 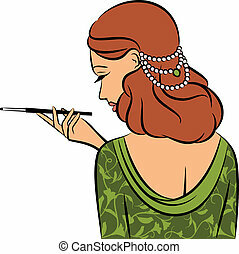 Smoking woman silhouette vector illustration. 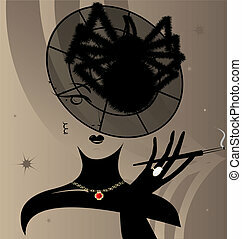 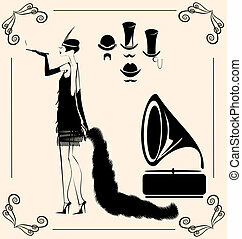 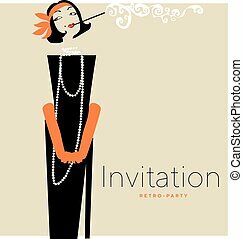 Retro elegant woman portrait in black dress. 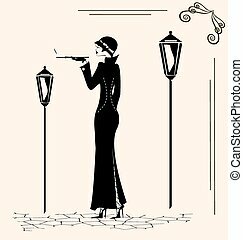 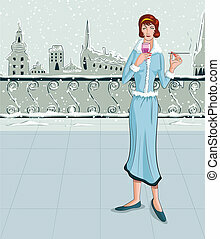 Vintage fashion girl with cannon-bit. 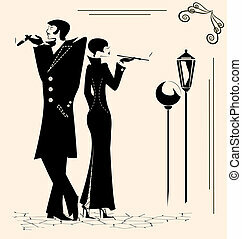 Vintage set of hands with cannon-bit.